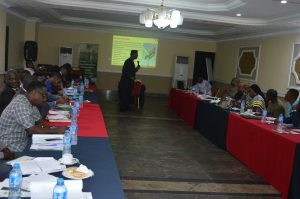 On Tuesday, May 8, 2018, Spaces for Change | S4C convened a region-wide consultative forum on the Petroleum Host Communities Development Bill in Port Harcourt, Rivers State, offering a platform for a broad spectrum of stakeholders to understand and make inputs to the draft petroleum reform statute. 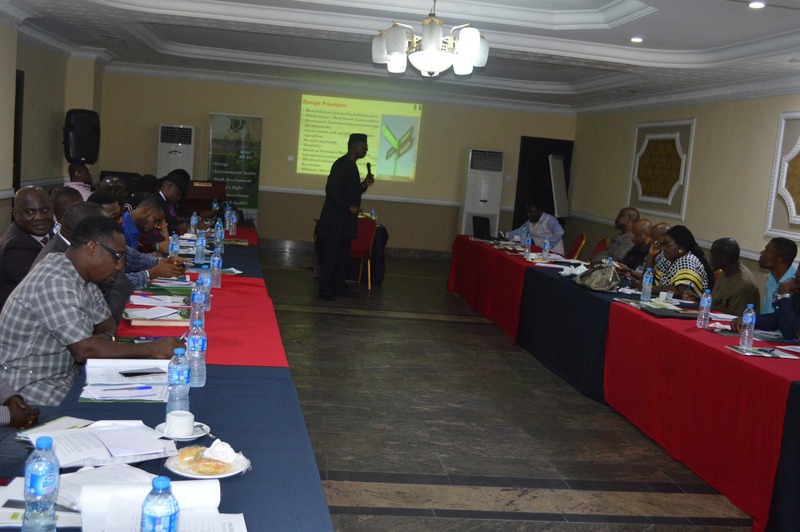 The meeting witnessed a large turnout of stakeholders from the oil-rich communities in the entire Niger Delta region hosting an array of upstream, midstream and downstream petroleum assets. Eminent personalities in attendance include Ibim Semenitari, ex – Chair of the Niger Delta Development Commission; Ledum Mitee, ex-President of the Nigeria Extractive Industry Transparency Initiative (NEITI) & Ex-president of the Movement for the Sovereignty of Ogoni People (MOSOP); state lawmakers from the Akwa Ibom State House of Assembly; local government chairpersons; traditional rulers; academics, civil society leaders, media professionals and a host of other important personalities. The Petroleum Host and Impacted Communities Development Bill, 2018, provides a legal framework for delivering direct economic benefits from petroleum operations to host and impacted communities. It further aims to improve peaceful coexistence between host communities and oil companies (also known as settlors) involved in petroleum production. – Oil companies, called settlors, are to establish the Petroleum Host Communities Development Trust (Community Trusts) in communities where they operate. – Settlors will determine the communities to be regarded as host communities within their area of operation. – Failure to incorporate the Trust shall be a ground for the suspension of operating license. – Trustees need not be indigenes of the host community, and are to serve for a term of four years, renewable for one more term. – The Bill creates new bodies, positions and roles for the administration of the Community Trusts. The bodies include the Endowment Fund, Reserve Fund, Fund Managers, Management Committee (with executive and non-executive members), Advisory Committee etc. – National Petroleum Regulatory Commission (the Commission) shall have the power to resolve disputes arising from the management of the Trust. Ms. Ohaeri recommended a review of the proposed governance arrangement for the Petroleum Host Community Trusts, which is the vehicle proposed for delivering direct economic benefits to host communities. Sections 9 and 10 of the Bill empowered the Settlors (oil companies) to determine the membership, the criteria and the appointment of the board of trustees, the highest decision-making organ for community development. These sections were recommended for deletion for being inconsistent with the Bill’s intendment to create trusts as a community empowering structure. Not onl that, reserving a mere non-executive role for host community representatives serving in the management committee in Section 14 (2a) also raises a red flag as that position does not confer real powers on community members. It was therefore recommended that the Board of Trustees be drawn from host communities, and provisions made for communities to take part in decision-making and the management of the trusts. Oil operations are major industrial activities that can cause damage to the environment and to private properties. This could arise at any stage of the operations – exploration, mining, production or transportation. Compensation should be paid where damage occurs as a result of negligence on the licensee’s part, or where oil leaks destroy crops, trees and other means of livelihood. The Bill lacks robust provisions for the protection of human rights and community health, environmental safety and security; protection of cultural property and heritage; use and management of dangerous substances including the impacts on indigenous peoples, and their unique cultural systems and values. Gas flaring prohibitions are notably absent. Other absent provisions include: oil company contributions for environmental remediation or the Restoration Fund comprising of penalties and sanctions for environmental damage. Professor Wunmi Iledare, Director Emerald Energy Institute of Petroleum and Energy Economics, University of Port Harcourt, delivered the second presentation. He charged participants to attend the public hearing and make their submissions and opinions known to the parliament. The Bill is premised on the recognition of communities as both hosts and landlords, who are most impacted by oil and gas operations. After several years of exploration, the communities do not feel sufficient economic development arising from the proceeds of oil and gas production. As such, communities have been totally excluded from ownership of what is rightfully theirs, leading to protracted tensions in the oil producing areas. The Bill therefore represents an attempt to ensure that the benefits of petroleum operations reach the oil producing communities. He likened the bill to a GMOU (Global Memorandum of Understanding) that has a legal backing, as against the current practice that is voluntary and non-binding. Regarding the concerns about the governance arrangements, he said no law is perfect, but we must not use the opportunity of imperfection to throw it away. He urged the participants to participate in the debate, with proper representation and participation at the public hearing. The two presentations provoked interesting debates around the governance arrangements and the implications for community relations with oil companies operating in their locales. Ledum Mittee, a leader of the Movement for the Survival of the Ogoni People (MOSOP) commended Spaces for Change for supporting and defending the rights of oil producing communities over the years. He recalls the statement of Willinks Commission of Inquiry, which warned that ‘minorities of the Niger Delta should not be neglected so badly or oppressed that if they rebel, that the federal government would be forced to send troops to quell such rebellion’. He wondered why th country has never heeded that wise counsel. The proposed governance arrangement is insulting to the communities and needs to be reconsidered. Also, Ibim Semenitari also raised concerns regarding how to determine profit before tax, and canvassed for the recognition of the rights of vulnerable persons and people with special needs. Another participant wanted to know the criteria for sharing benefits to host and impacted communities, drawing attention to the distinctions between oil producing and oil-bearing communities. Another issue that provoked debate is the power of oil companies to solely determine their areas of operation. There were calls for the reduction of the powers of the settlors. The Chairman (Finance and Appropriation) of the Akwa Ibom State House of Assembly also raised concerns regarding Section 9 of the bill which empowers the settlors to establish the board of trustees. High Chief Williams Mkpa, the leader of Ibeno community in Akwa Ibom State–host community of Exxon Mobil–tied the success of the Petroleum Industry Bills to the cooperation of international oil companies (IOCs). Emem Okon advocated for the inclusion of women, youth and vulnerable groups in the governance arrangements. Women are often excluded in the implementation of Global Memorandums of Understanding (GMOUs) in the Niger Delta, particularly in Rivers State. Even where they are represented, they lack powers to influence change. Stakeholders thanked Spaces for Change for its consistent role in informing the communities about the provisions of petroleum reform regimes that will directly affect them. They also urged the organization to not only arouse the consciousness communities, but also organize them to build consensus on the critical issues raised in the reform bill. For instance, there is need to harmonize position on the amount of financial contributions payable by the settlors into the community trusts. There is also need to strike a healthy balance between the competing needs and priorities of different host communities. The Bill, as currently framed, does very little to address the core issues of community exclusion in resource governance which lie at the root of the surging discontent in the region. The strong potential for conflict cannot be ignored, especially taking into account, the long history of hostile relations between companies and their host communities which has often resulted in violent agaitations, facility shutdowns, halted operations, and revenue losses.